Have you been asked to plan The Company Holiday Party or your annual Corporate Event? Did last year’s Holiday Party, Corporate Event or Convention booth fizzle – instead of sizzle? 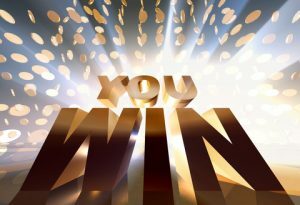 If this is the case, Prestige Casino Party of Sacramento is exactly what you need! 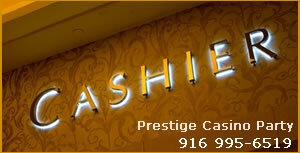 Rated the best choice for A Casino Themed Party in and around Sacramento and the Northern California Region. We offer only the finest Casino Tables and Equipment manned by friendly, professional dealers. Best of all, it’s super-easy for you, once your event is booked we do all the work! We provide on-time delivery, setup & break-down, Casino Quality Tables,all the Gaming Supplies, Custom Play Money with a picture of the Company V.P. or your Companies logo! Casino Themed Parties for Company events are fastly becoming the best way to Team Build! This Team building event will not be that boring annual lunch everyone is expecting, it will be fun, interactive , and talked about for years to come. Never again will the annual Office Party consist of 100 people sitting around tables wondering if it is too early to leave. A Casino Themed Party by Prestige Casino , will have all your employees excited, and interacting with their colleagues! A great opportunity for the staff to meet other employees all while having a blast! The Company Newsletter will be filled with fun photos and comments about what an amazing event you planned! Give us a call at 916.995.6519 to book your Company Party today!